to everyone who wishes to participate. If you have any questions, requests, or suggests, please let us know!! 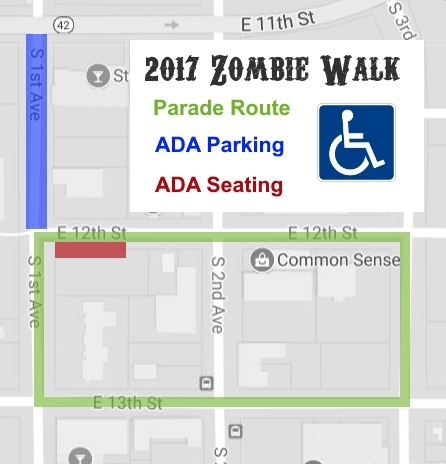 ADA Parking will be available on S 1st Ave between E 11th St and E 12th St.
ADA Seating will be available on the south side of E 12th St, just off of S 1st Ave.
Service dogs are allowed to accompany their owners at all times. There will be an ADA accessible portable toilet in the El Riad Shrine parking lot.